Here’s a very rough draft of the book I’m working on looking at Orthodox witness in America. While some of the references are included some are missing. It is a rough draft after all! Compare this to what we see today. And today? What’s the religious situation in America? As of 2008, just over 78% of the adult population identified themselves as Christian; that’s almost a 300% increase since the signing of the Declaration of Independence. But while the competitive religious marketplace has been very good for Christianity, in general, it has been very hard on particular Christian traditions. Approximately 53% of US Adults have left the faith of their childhood at some point. Of those who leave, only about 9% will eventually they return. If we take into account the margin of the Pew study, somewhere between 47% and 59% of U.S. adults have changed religious affiliation at least once. The competitive American religious marketplace has helped create then a cultural situation religious identity is remarkably fluid. This, in turn, means that Americans simply aren’t institutionally loyal. I should point out, that this isn’t simply about religion or Christianity. It is rather a more general phenomenon that affects political parties, marriage and family life, business—pretty much every social institution apart from professional sports teams. With this in mind, when we talk about “winners” and “losers” it’s important to keep in mind that to varying degrees everybody wins and everybody loses at least in terms of membership. Yes, you lose adults who were baptized as children but you gain others who join as adults. Yes, adult converts defect but lapsed members return. Whether we like it or not, and as a priest I must confess I both do and don’t like it, historically choosing one’s faith is the American norm. And today, much like America at its founding more and more Americans are unchurched. More Americans and especially those under 30, are choosing to be “unaffiliated,” to have no institutional religious identity. This is different from saying that the person is an agnostic or an atheist. Being a “none” also doesn’t mean the person isn’t Christian. What it does mean is that the person does see his or her spiritual life primarily in terms of attending a church. “Nones” often do attend church but for a variety of reasons don’t choose to identify with a local congregation or denomination. While we might be tempted to bemoan the situation, at least in the context of American religious experience: “Secularization is a self-limiting process that leads not to irreligion, but to revival.” This isn’t necessarily revival in an Evangelical Christian sense of committing your life to Christ. It could be, and in highly unchurched parts of the US and Europe often is, a revival of pre-Christian religious practice or New Age spirituality. What about Eastern Orthodox Christianity? 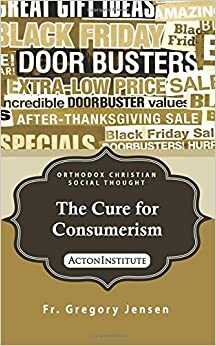 How has the Orthodox Church fared in the American religious free market? As with other Christian and non-Christian traditions, the experience of Orthodoxy in America is a mixed bag. Roger Finke and Rodney Stark, The Churching Of America, 1776-2005: Winners And Losers In Our Religious Economy, pp., 27, 29. U.S. Religious Landscape Survey: Religious Affiliation (2008). Pew US Religious Landscape Survey, 2008, Pew, Faith in Flux, 2009. I am indebted to Sherry Weddell, co-director of the Catherine of Siena Institute, for the statistics in this section. Pew Forum, Nones on the Rise, 2012.